Could You Survive Without Money? Home » Business and Entrepreneurship » Could You Survive Without Money? I spend a great deal of my life talking, thinking and writing about money. We are all familiar with the oft-repeated biblical phrase that says the “love of money is the root of all evil”. It is important to understand that “money” is not the emphasis here, but rather the “love of” money. We are well aware of the dangers posed by an unhealthy desire for money, yet the fact remains that money is a tool we all need. Dave Ramsey refers to money as “certificates of appreciation”. Money represents value, the value is not intrinsic, but rather representative. Our employer gives us these certificates in exchange for doing a job that brings him certificates. We accept those certificates as payment because we are confident that we can use those certificates to trade for things we need to live — heat, power, food, clothes, housing, even water. I was thinking the other day that an abundance of these certificates has weakened us to a certain extent. We depend on these certificates for everything in life. Yes, it is true that some of us have become really good at acquiring these certificates of appreciation, no doubt about it. But here is the big question: Could we survive without money? If you no longer had any money to pay for heat in your home, what would you do? Our great-grandparents and grandparents were able to heat their homes by getting wood to burn anywhere they could find it. The woods, by the road, if things got really bad, they could scavenge burning material from their own furniture. I have read stories of early pioneers who burned hardened cow dung or buffalo chips. During a recent cold spell in the UK, some people were purchasing hard bound books to burn in their stoves. Except…my house does not have a fireplace or a wood burning stove or any place really safe enough to have an open flame. Does yours? The ability to pay for a furnace, natural gas, and everything that goes along with our safe, clean heat has made us dependent on money. What about water? If you could no longer purchase bottled water at the grocery store or pay to have it flow out of your tap, could you survive? You could, no doubt, beg enough water for your needs from neighbors or relatives, but what if they could no longer pay for water themselves? Do you know how to dig a well? I live in the city and it has been a long time since I have seen a natural spring bubbling up next to the sidewalk. I do not think that I would guzzle water from any of the stream or drainage ditches in my area. The ability to pay for water and the infrastructure that brings it to us is something that I sometimes take for granted. How about food? We have one of the most safe, inexpensive, diverse food supplies in the world. Fruit, vegetables, meat, baking supplies and all the rest are right here in our neighborhoods — as long as we can pay for it. Our ancestors grew their food, all of it. My grandpa always told me that while he had no money when he was a boy during the Great Depression, he never went hungry on the farm. Even if you own your own home, few of us have the ability to produce power, heat, water, food, communication, medicine, and all the other necessities of life on our own. We are a pretty dependent people on the whole. So what can we do about it? Personally, I am praying that our system stays intact. A friend of mine has a power generator for his whole house that runs off of gasoline. I know another person who has a year’s worth of food stored up in his basement! 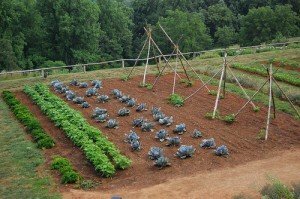 This is probably not a time to panic, but it would not hurt some of us to at least learn how to grow a garden in the meantime. Do You Think Making Your Own Applesauce is Worth It? To be honest, not only does the system rely us to be dependant on it, but the systems effects on the environment (that is our crops and food, oceans, water supply and everything else we need to survive) are worsening year by year. Money seems to create all of these problems as well as inequality on our planet. What Earth needs is equality and a new system and i personally believe life would be much better. Of course you could learn to live with no money but the problem is unless you have a group you would loose a part of your humanity due to lack of social interaction and if large community were aloud to develop the government would have to use violence to take control back. Well that has always been the fear anyway. Well I find it fascinating that there are still people who ponder this question even with the current economic situation the the idea is very taboo..
We have uninstalled solar panels (yeah, I’m working on it) and a 12V system on top of the 110V system. We also have water filters on the main supply, so I could jerry rig some in case of a problem. Without heat it would not get colder than about 50F in the winter, so that would be doable. Our food would last a month. Although we do grow some vegetables, it is far too little to live on. Aside from these things, we actually do not need very much money. I can effectuate almost all maintenance myself. We can get around by bicycle in case gasoline was not available. This is something that we’re working on, little by little. Last year we sold our house in the city and moved to a nearby small town where we were able to buy a house with a 3/4 acre lot (for the same price that sold our tiny house in the city with a tiny lot). We planted an orchard and berry patch, and are working on vegetable patches. We have a solar oven on our patio, and my husband has plans to build a wind turbine in the backyard (we live in a windy area, might as well put it to use). We have a clothesline, and don’t own a dryer. We plan to put in a rainwater harvesting system, and a greywater reuse system. It will take several years, but we’re getting there. I would love to be able to live sustainably on our own. It’s a goal my wife and I have. We feel that’s insurance for our future and the future of our world. People can’t continue to live being so disconnected from where we came from. I want our children to grow vegetables and for us to be able to heat our home on our own. And, I hope this will lead our kids to follow in our footsteps. I think those of us living in the country have it easier. My husband and I live in the country and we have a wood burning fireplace upstairs and a wood-burning stove in the basement. We could use them to heat the whole house and to cook on. Also, living in the country we have a well that we use for water so we don’t have to pay for that. We also have a large garden but we’d only be able to eat from that in the summer (except for some things which we can put in cans). It’s an interesting question to raise and I think it would be cool to get to the place where we could live off the land. We’ve talked about raising chickens and getting a goat for milk and cheese.